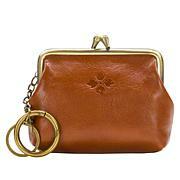 You can't just put any old wallet inside the luxurious walls of a Patricia Nash handbag. This classic, dual-compartment design features a detailed, artisan exterior that opens up to reveal unique craftsmanship and plenty of pockets to organize your life. Plus, it has RFID protection technology so you can feel confident and safe anywhere your travels take you. 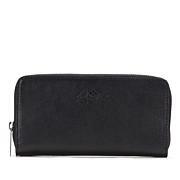 Product is made from 100% leather designed with premium materials and manufactured/sewn in China. Includes card to warranty/register your purchase. Registering provides a lifetime guarantee against manufacturer's defects in material or workmanship from the date of purchase, when purchased from an authorized Patricia Nash retailer. Guarantee is limited to damages not caused by normal wear and tear over time, to customer abuse or staining, or to airline handling and other transit damages. Please contact the above web address with any questions and for a paid shipping return label to send your bag for inspection and/or repair. Please allow for 4 to 6 weeks for processing. This limited lifetime warranty extends only to the original owner. I originally ordered this in the amber tool, but exchanged for the floral fresco pattern. I just didn't like the coloring in the amber one when it arrived. Love the RFID protection. That is the only type of wallet I will buy now. The kiss lock section is perfect! Fits everything that I need. Have had for several weeks and I love it. THis is an amazing wallet. I can fit all my stuff in it. I love that its leather and RFID. THe constuction is marvelous. 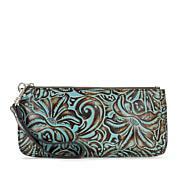 I ordered the wallet and the matching purse. I LOVE them. They are just the right size and will take me well into spring and summer. 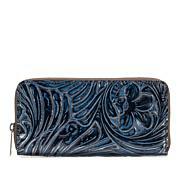 Like all Patricia Nash items, this is beautiful, and the RFID protection is a huge plus, in my opinion. I've had a completely different style of wallet for a long time, so I'm still getting used to which way to open this up, but it's lovely, supple, and I've already had several complements on it. 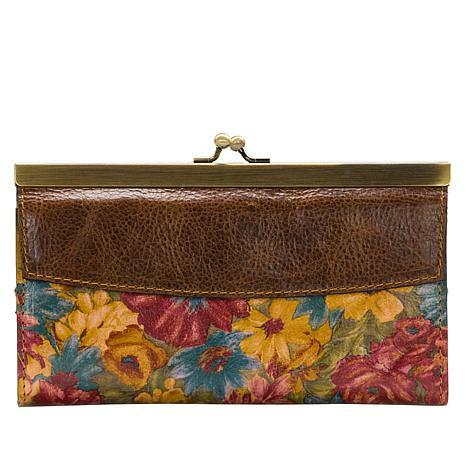 Love this wallet. It holds all my cards and it is beautifully designed. I will be looking forward to purchasing more of her collection! Remind me about Patricia Nash upcoming shows.